ABR 600 is a creamy fluid containing special fillers that, thanks to a micro-abrasive polishing action, can be used on different types of material for different results, based on the surface where they are applied. When used on polished or buffed natural stone, ABR 600 effectively replaces the intermediate grain sizes for mechanical polishing (diamond resin pads, grain size 400-800) when it is not possible to use traditional systems over the whole surface, e.g. : when the area is furnished or contains other elements, when there are different levels corresponding to grout widths (lippage) or flooring that is not flat; when it is not possible to use heavy machinery for polishing; when it is not possible to use the large amounts of water unavoidably required for mechanical polishing processes. Used this way, ABR 600 will leave the surface looking even, removing scratches, scuffs and small surface blemishes, and preparing the floor for polishing with chemical solutions. When used on brushed natural stone, ABR 600 replaces the mechanical brushing technique, removing scratches and blemishes, and cleaning the surface deep down. When used on ceramic flooring or on porcelain or textured stoneware, ABR 600 can recover scratches or scuffs and boost the dirt-resistant performance of the surface without significantly changing its original shine. ABR 600 can also be used with success to soften the excessively rough surfaces of textured material, meaning that the amount of dirt trapped on the flooring is reduced. If used on all surfaces that have been polished but are without shine, ABR 600 can create a so-called “honed” look: a matt polished finish that is soft, even and completely free from the characteristic scratches left by a mechanical polishing process. 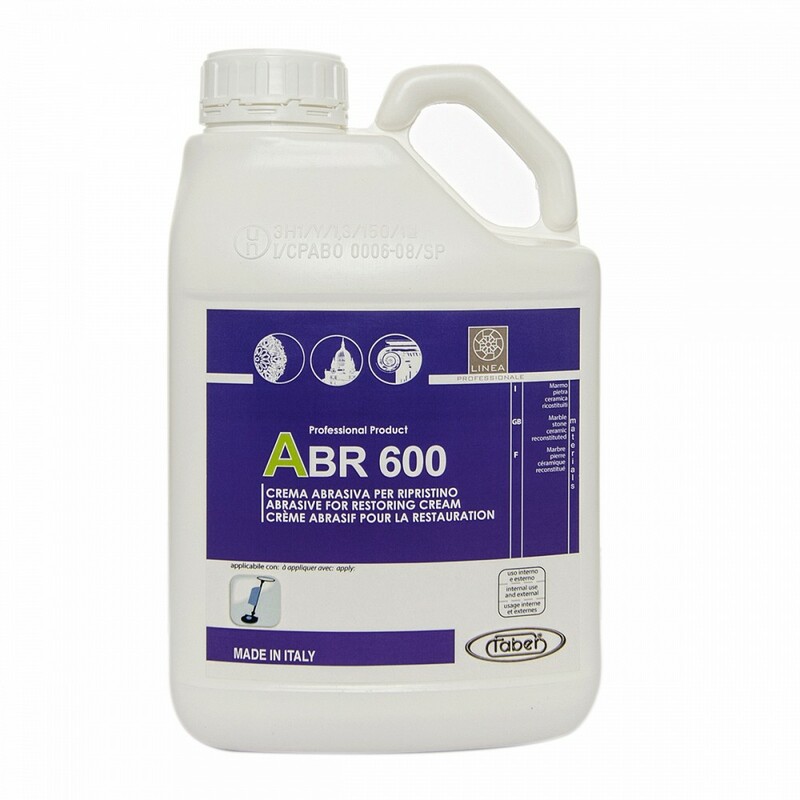 ABR 600 is also successfully used before K100 to restore deep surface aggressions on buffed materials, when this is not enough to repair the damage on its own. ABR 600 is recommended for all those situations where surface shine needs to be reduced, without having to intervene using aggressive acid-based products or mechanical processes.